Drost Landscape was founded in 1991 when Bob Drost and four others challenged the status-quo of landscape design, installation and management. Their shared passion for the industry and commitment to quality still thrives today and is the cornerstone to the overall success and growth of the business. From very humble beginnings, Drost Landscape currently boasts acres of tree nursery, greenhouses, specialized heavy equipment, a full-service maintenance division, and staff of administrative and construction professionals. Drost Landscape is an award-winning firm specializing in residential design and installation, water features and lighting. Over the last 25 years, Drost Landscape has established itself as an industry leader in creating innovative and memorable environments by integrating Landscape Architecture, current construction techniques, skilled craftsman and other related disciplines. Drost Landscape proudly serves all of Northern Michigan and beyond. MISSION STATEMENT Memorable landscapes; executed by team-effort and grounded by integrity. Charlevoix Area's Quality Outdoor Design Solutions-Best of Houzz 2018! Award winning landscape architecture for the discriminating client. We strive to enrich your life by helping you achieve the landscape of your dreams. 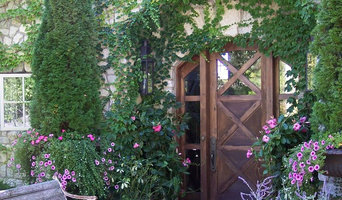 Download your free guide "How to Prepare for Your Design Project" at www.greenroomlandscape.com. Green Room Landscape Architecture LLC provides landscape architectural, planning, and ecological services for a variety of project types, including residential, commercial, healthcare, education, and parks and recreation. Our design process is focused on listening to your needs and returning flexible and responsive results, approaching each new project with fresh eyes. We look for design solutions that address your needs and style with functional, long-lasting landscapes. We provide guidance and a wide range of services to help you avoid the challenges and hidden costs that may come with your property. Our services help fit your needs and vision and protect you from expensive damages caused by erosion, flooding and other forces of nature. Planting and caring for landscaped and shoreline gardens - building stone walls and patios - solving shoreline erosion problems - managing stormwater and invasive plant species - sharing knowledge of the plants and materials used - all done, expressing natural beauty, sustainably, in support of biodiversity. 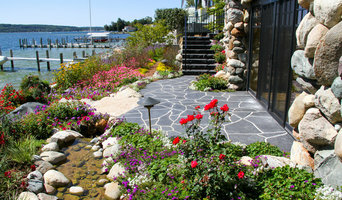 Our professional design, installation and gardening services help customers create and maintain landscapes that reflect their passions for Northern Michigan. Guided by personal color and texture preferences, we expertly apply ecological design principles to minimize use of toxic chemicals and fertilizers, lower maintenance costs, and create beautiful outdoor living spaces. Bret works with restoration ecologists, native plants nurserymen and landscape design professionals to design and create attractive, sustainable and healthy outdoor living spaces. 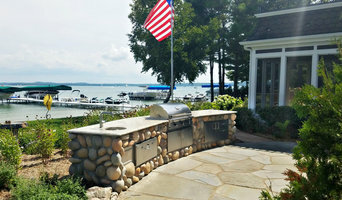 He is a Michigan Certified Natural Shoreline Professional and specializes in designing, installing, and maintaining lake-friendly, environmentally sound, landscaped shoreline management solutions. 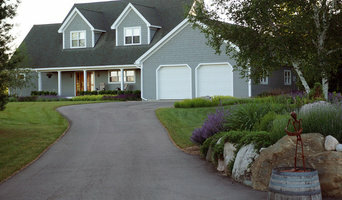 Landscape Design\Build Firm and Landscape Installation Contractors Over the past decade Landscape Logic has earned the reputation of the most forward thinking landscape design, installation, and maintenance firm in Northern Michigan. Our progress is directly attributed to our professional team and their dedication to creating and caring for landscapes with the utmost passion and detail. We are different; and question reason in everything we do. Our mindset is evident in how we look, how clients perceive our company, and how our work is completed. It is a way of thinking that continually chisels away at the division between man and nature. Our office and showroom are located in Charlevoix, Michigan. We primarily serve northern Michigan, including Lake Charlevoix, Bay Harbor, Walloon Lake, Petoskey, Harbor Springs, Burt Lake, Torch Lake, Boyne City and the Lake Michigan shoreline. Many of our clients have other residences located outside northern Michigan. We are blessed for them to place their trust in us throughout the design, installation, and maintenance process from afar and stand on our core values as we service their property. Building on our experience, passion and innovation we bring our clients desires to life. At Landscape Logic, our principles never waver; we strive every day to create landscape perfection for our clients, helping us to build lasting relationships. 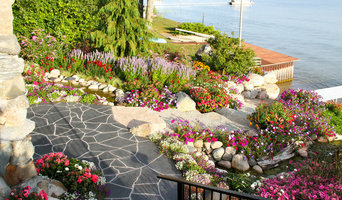 Northern Michigan's landscape design specialists. From conception to reality, we can work with you to create the landscape that functions as an enjoyable outdoor living space and accentuates the architecture of your home. Before the installation of your investment, we assist in developing the landscape plans and produce realistic 3D graphics for you to envision the design. Our landscape projects give our clients exceptional natural looking and functional outdoor spaces. These spaces are impacted with our unique sense of landscape design. Sheridan completed her education at the University of Maryland and worked for an engineering and landscape architecture firm near Annapolis, Maryland. Early in her career, she acquired extensive field skills that gave her an appreciation for construction and maintenance methods. In Boston, she worked with a Landscape Architect where a lively variety of municipal and residential projects were the bulk of the firm’s work. Northern Michigan became home in 1989. Today Sheridan works primarily in the residential and resort development field. Her advice and assistance is available for projects of all sizes, anywhere. Thank you for your interest, and Sheridan looks forward to your inquiries. RCA, P.C. (formerly R. Clark Associates) is a landscape architecture and land planning firm located in Traverse City, Michigan. A full-service design firm specializing in residential landscapes primarily in northern Michigan. We will lead you through the design process and manage the installation with appropriate contractors in your area. Просматривайте профили лучших ландшафтных дизайнеров в городе Boyne City, MI на Houzz.ru: читайте отзывы, оценивайте портфолио и фото реализованных проектов, узнавайте цены и легко находите и связывайтесь с понравившимися вам специалистами в области ландшафтного дизайна, проектирования, озеленения и благоустройства территории.